As a wife, mother, Grandmother and woman of faith there are 12 things I desire for our children. These 12 things are the essence of Faith Feedings…12 principles to nourish your child’s spiritual development. Each of these is an extract from the book I have written to cultivate the conscience of the next generation for faith in God. They will frame and establish faith in your home. 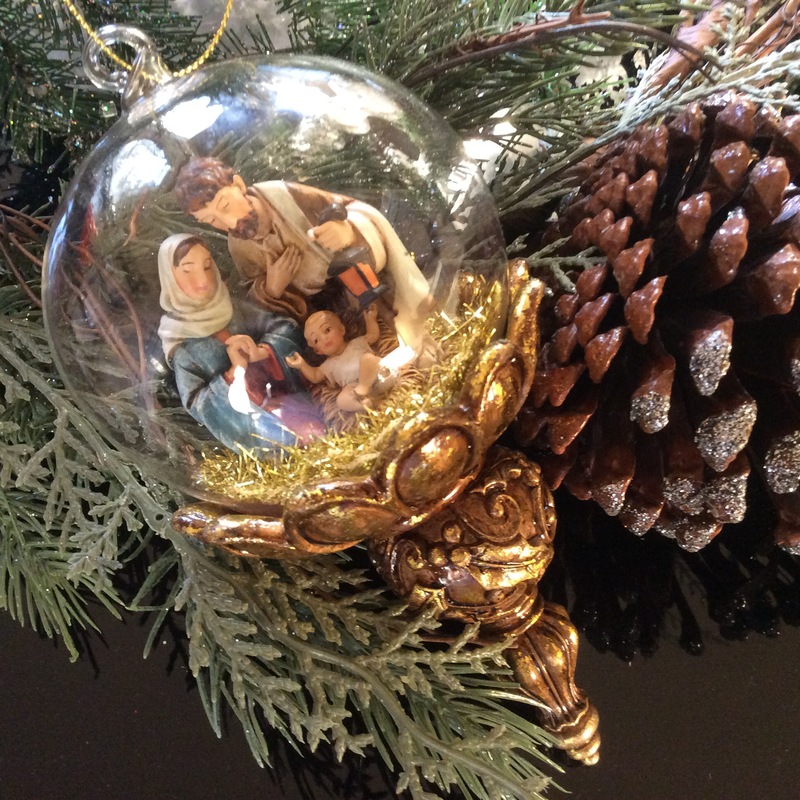 These 12 things are also the essence of Christmas. They are Twelve Gifts that only be grasped through the Gift of God’s Son in the form of the Christ-child. 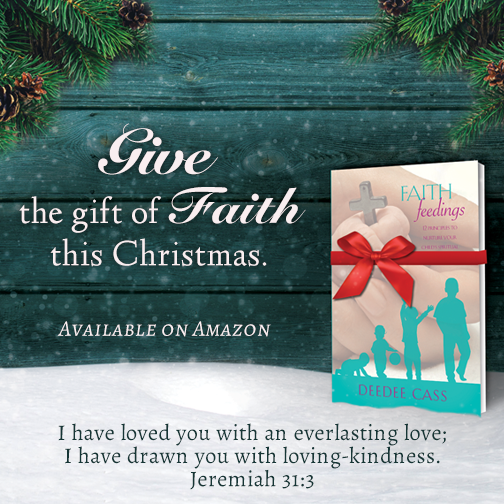 This Christmas I pray that God will richly bless your family with a legacy of faith! I invite you into my passion to change the faith landscape of our homes. Join in! Let’s stop the bleeding that is draining faith from our families and leading out children further away from God. OPP (opportunity for action): Purpose to pray The 12 Things I desire for our Children on a regular basis. Commit them to memory and heart speak them to the Lord when you awaken in the night. Adorn you child’s Growing Robe with these 12 Gifts of Christmas. They are gifts to last a life-time…even into eternity! It seems that my tidy list of Christmas Blog reflections has been interrupted by terror on the home-front. My All I Want for Christmas theme has been overshadowed by considerations of allegiance and unthinkable encroachment on the land of the free. The words, I Pledge Allegiance…, came to the fore-front for me on December 5th during my early morning meeting with the Lord. The Bible passage scheduled for me that day was Philippians 2:5-11. Verses 6-11 are oft quoted ones and are invaluable for understanding the Nature and Character of Jesus Christ. On this morning, however, it was verse 5 that got my attention: Your attitude should be the same as that of Christ Jesus. In deep humility and outrageous courage, I share my Journal entry for that day with you. “We call it radicalization. They call it allegiance. We call it violence. The Bible calls it murder. We call it hatred. God calls it evil. On second thought, All I want for Christmas stands. All I Want for Christmas is radical faith in an allegiance-worthy God. It is what I want for you as well! OPP (opportunity for action): Nurture your child’s spiritual development by introducing God’s radical love for them in the form of the Gift of the Christ-child. At this time of year there are numerous opportunities for giving…from food and warm clothing for the needy to the Salvation Army bell ringer at the storefronts. Aid them in finding ways to be givers rather than getters this Christmas. Pray in your home for comfort for those who lost their beloved and covering on our Nation for the sake of His Beloved.